Teachers Create the Weather: What's the Climate in Your Classroom? 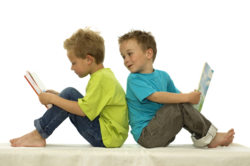 How Are Schools Addressing the Emergence of "New" Societal Needs? What Will It Take to Address the Over-Testing Culture in U.S. Schools? 1. 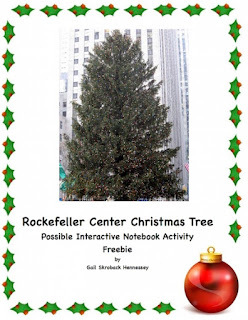 In 2018, a Norway Spruce tree from Wallkill, NY, was selected as the Rockefeller Center Christmas Tree. It is 72 ft. tall. 2. The tallest Rockefeller Center Christmas Tree was 100 ft. tall (1999). 3. Trees usually arrive in New York city by flatbed truck(with a sign saying it was the Rockefeller Center Tree). In other years, a tree has come to the city by a barge and one was actually brought in by helicopter! 4. The history of the tree dates back to the Great Depression. At the construction site, workers erected a 20 ft. tall tree. The balsam fir was decorated with paper garland, some tin cans and strings of cranberries. Some references say some blasting caps and gum wrappers were also used to decorate the tree. 5. The Rockefeller Center Christmas Tree goes up the Wednesday after Thanksgiving. It is taken down at the end of the twelve days of Christmas, on January 7th. 6. The singing of “Joy to the World” has been a tradition following the tree lighting ceremony, since 2011. 7. Since 2004, the Christmas tree has been topped with a star weighing 550 pounds and measuring 9.5 ft in diameter. There are 25,000 crystals and a total of one million facets in what is called the Swarovski Star. It was designed by Michael Hammers, a German artist. 8. Only one Rockefeller Center Tree was not from a state in the USA. In 1966, Canada donated a tree. Trees have come from New York, New Jersey, Pennsylvania, Ohio and Connecticut. 9. Did you know that there are five MILES of electrical wire strung with light bulbs used to decorate the tree? There are 50,000 colored LED lightbulbs. 10 . Since 1971, the tree has been RECYCLED after the holiday season. The tree has been turned into mulch and donated to the Boy Scouts of America. Mulch was also used for nature trails in the city. The U.S. Equestrian team in New Jersey has been given the trunk to be used as an obstacle jump. Since, 2005, the tree is milled and given to Habitat for Humanity to be used in housing construction. Houses in New York, Louisiana and in the countries of India and Brazil have been constructed from the Rockefeller Center Christmas Tree! 11. To be considered for the Rockefeller Center Tree, the tree must be at least 75 ft. tall and 45ft. in diameter. 12. For most of the holiday season, the tree is lighted from 5:30 am to 11:30 pm. On Christmas Day, the tree shines brightly for 24 hours. 13. According to the head gardener,Erik Pauze, no one has tried to harm the tree. There is a fence around it and there is 24 hour security to make sure no one tries to harm the tree. 14. Did you know that the tree isn’t watered?The cold temperatures and nature help to keep the tree fresh. 15. People can submit photographs of trees for consideration to become the Rockefeller Center Christmas Tree. A helicopter is also used to search the northeast for the perfect tree. 16. From 1942-1944, the Rockefeller Center Christmas Tree was not lighted due to World War 2. 17. In 1980, for a few minutes, there was a human ornament on the tree as someone attempted to climb it! The man was quickly arrested. 1. Pretend you are the Rockefeller Center Christmas Tree. Tell about a day in your life. What do you see? What do you hear? What do you feel? Etc. 2. Design a new tree topper for the tree. 3. Illustrate one of the facts. 4. Which THREE facts were most interesting to you? 5. Write sentences for the vocabulary words recycled, diameter and equestrian. 6. Look up Habitat for Humanity, World War 2 and the Great Depression. Write 4 facts learned. 1. During the holidays is a great time to share with kids the many traditions which have been shared with different cultures. Learn the history behind some popular holiday traditions from around the world with this webquest.